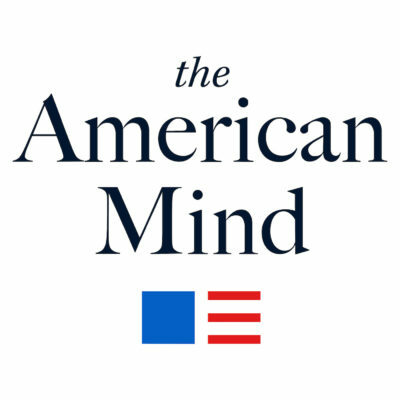 The American Mind podcast with Ben Judge uncovers the ideas and principles that drive American political life. In each episode, we engage Claremont Institute scholars, co-conspirators, and challengers in thought-provoking and intellectual conversations about the real causes of our current political and cultural reality. We explore these ideas with an eye towards restoring America back to civic health. The American Mind is a production of the Claremont Institute, where host Ben Judge is a Fellow. The mission of the Claremont Institute is the recovery of the American idea—the timeless principles that have made America great since its founding. “Nationalism.” It’s a word getting thrown around a lot these days. Some say it is code for racism and xenophobia. Others contend it is the natural expression of any nation’s people. What does nationalism mean, and how does the concept apply to American politics today? These are the questions at the heart of an essay in the Winter 2019 issue of the Claremont Review of Books titled “Trumpism, Nationalism, and Conservatism.” Its author is Chris DeMuth, who joins host Ben Judge in this episode of The American Mind Podcast. In this interview, you’ll hear about DeMuth’s move towards appreciating President Trump, as well as a word of warning to conservative organizations dealing with Republican presidents. But at the heart of the conversation is this question: Are Trumpism, Nationalism, and Conservatism synonymous? Why, even after electoral triumphs, have conservatives had such a hard time governing? You think this question only applies to today? Twenty years ago, as part of the American Enterprise Institute’s Bradley lecture series, Dr. Charles Kesler gave an answer to why conservatives felt adrift. That lecture is just as relevant now as it was in 1998, and it forms the basis of this episode of The American Mind Podcast. Since this is the first episode of the American Mind Podcast, we thought we would go back to basics. What is the fundamental problem politics must solve? What does that mean for governments in general? What about for America? Helping us work through those questions is Mike Anton. He is a Senior Fellow at the Claremont Institute and Lecturer at Hillsdale College’s Kirby Center in Washington DC. He has written for Pete Wilson, Rudy Giuliani, George W. Bush, and most recently he served in Donald Trump‘s National Security Council as Deputy Assistant for Strategic Communications. But many of you know him from an essay he wrote for the Claremont Review of Books titled “The Flight 93 Election.” That essay became the basis for his new book, After the Flight 93 Election: The Vote that Saved America and What We Still Have to Lose. What is his answer to the fundamental problem of politics? And how does that answer lead to his criticism that conservatives are too focused on the accumulation of wealth? Mike Anton explores these questions and many more in the inaugural edition of The American Mind Podcast.